In recent years, the Portuguese government has been working actively on several strategic policies primarily aimed at strengthening traditional ocean activities (e.g., fishing and aquaculture, maritime transport, ports and the naval industry) and empowering emerging economic activities related to the use of the oceans (such as blue biotechnology, ocean renewable energies and deep-sea strategic resources). Most notably, the government approved an ambitious 10-year strategic plan to increase the competitiveness of its ports and shipping sector. The plan, entitled ‘Horizonte 2016–2026’, is expected to create around 12,000 new workstations by 2030 and lead to a total load growth of up to 78 million tonnes (an increase of 88 per cent), all backed by an estimated overall investment of between €2.1 billion and €2.5 billion. Still in this regard, domestic port activity reached a record high of 2.9 million TEUs in 2017, whereby more than 50 per cent of exports are currently carried out by sea. Portugal is also focused on shifting its ocean economy value matrix, by (1) leverage ocean science and research and development services to generate innovation and empower entrepreneurs, and (2) use ports as acceleration platforms for the development of ocean advances industries, integrated in global value chains. The plan is to (1) adapt infrastructures and equipment to the increase in the size of ships, the demand and hinterland connections, (2) improve port facilities’ operational conditions, (3) develop a competitive merchant marine business sector, and (4) boost the creation of jobs within the industry. Finally, one must recall that in 2009 Portugal submitted its proposal for the Extension of the Continental Shelf to the United Nations Commission on the Limits of the Continental Shelf. Assessment of the submission began in August 2017 and is expected to be completed within the next two to three years. If the submission is successful, Portugal will have one of the largest economic exclusive zones, with a total maritime area of 3,877,408 square kilometres – an area larger than India and equivalent to the continental European Union (excluding the United Kingdom and Sweden) – with all it entails for the country’s shipping industry. The government intends to adopt a number of legislative measures to streamline and reorganise the maritime public service, value human resources and maritime knowledge and attract investment to the sector in order to achieve the objectives listed in Section I. There are rumours that a number of legislative initiatives are being prepared, including a new Merchant Navy Law and the creation of a tonnage tax fiscal regime. In March 2018, the National Assembly authorised the government to establish new regulations on ship registry, including setting up a national database for ship and maritime entities. Overall, the underlying idea is to take advantage of the fact that the country is party to the most relevant international treaties and conventions, and to adopt sophisticated internal laws capable of addressing the industry’s concerns and boosting the economy. Maritime courts were created in 1986 with the enactment of Law No. 35/86 of 4 September 1986. The original proposal was for five. However, there is currently only one, the Maritime Court of Lisbon, with exclusive jurisdiction to deal in the first instance with maritime disputes materially connected with the Portuguese mainland. Maritime disputes occurring in Madeira and the Azores are resolved at the first instance by local civil courts. Appeals are heard by the Court of Appeal and the Supreme Court as applicable. 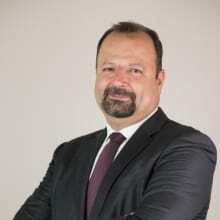 Portuguese courts will generally find in favour of their own jurisdiction to rule on claims where parties in dispute and the claim itself have a close connection or link to Portugal. Any proceedings brought before a Portuguese court in disregard of a foreign jurisdiction or arbitration clause may be challenged. It is up to the defendant to seek formal dismissal of the proceedings based on the breach of the arbitration or foreign jurisdiction clause and ensuing lack of jurisdiction of the Portuguese courts. The court will then assess whether it has jurisdiction (if it does, the court will hear the parties on the substantive proceedings) or rule that it has no jurisdiction and dismiss the claim. The primary domestic source of law for arbitration in Portugal is Law No. 63/2011 of 14 December 2011 (the Voluntary Arbitration Law (VAL)). The VAL is based on the UNCITRAL Model Law, albeit with differences and specificities tailored to the Portuguese legal system and the arbitral culture and practice. The VAL is applicable to all arbitrations seated in Portugal although it contains some specific rules applicable to international arbitrations to make Portugal an attractive seat. Under the VAL, when international trade interests are at stake, arbitrations are considered international. The VAL requires arbitration agreements to be made in writing, otherwise they will be deemed null and void. This requirement is met if the agreement is recorded in a written document signed by the parties, in an exchange of communications providing a written record of the agreement, including electronic means of communication, and any other type of support that offers the same guarantees of reliability, comprehensiveness and preservation. References made in a contract to a document containing an arbitration clause constitute an arbitration agreement, provided that they are made in writing and that the reference is such that it makes that clause part of the contract. The VAL distinguishes between an arbitration agreement concerning an existing dispute, even if already pending before a state court (submission agreement), and an arbitration agreement arising from a given legal contractual or non-contractual relationship (arbitration clause). A submission agreement must specify the subject matter of the dispute and an arbitration clause must specify the legal relationship underlying the dispute. An arbitration agreement, in the form of an arbitration clause, can cover all future disputes arising out of or in connection with such contract. 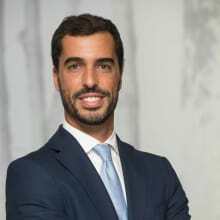 In international arbitrations seated in Portugal, the validity of the arbitration agreement and the possibility of referring the dispute to arbitration are determined by reference to the requirements set out either by the law chosen by the parties to govern the arbitration agreement, by the law applicable to the subject matter of the dispute or by Portuguese law, according to which arbitration is allowed. Any dispute involving economic interests may be referred to arbitration, save for those disputes that are exclusively submitted by a special law to the state courts (e.g., criminal and insolvency disputes) or to compulsory arbitration (e.g., certain labour disputes). In addition, disputes that do not involve economic interests may also be subject to arbitration provided that the parties are entitled to settle the disputed right. Law No. 29/2013 of 19 April 2013 (the Mediation Law), established for the first time the general rules applicable to mediation carried out in Portugal, and the legal framework for civil and commercial mediation. Under the Mediation Law, disputes falling within the scope of civil or commercial matters and relating to interests of a patrimonial nature can always be subject to mediation. ‘Non-patrimonial’ disputes may nevertheless be subject to mediation if the parties are entitled to settle a disputed right. In any case, a mediation clause should be executed in writing. Agreements reached through mediation conducted by a mediator officially registered by the Ministry of Justice may be granted immediate enforceability without the need for judicial confirmation provided that certain requirements are met. It is still not common practice to resolve shipping and maritime disputes through mediation. Enforcement proceedings of both foreign judgments and foreign arbitral awards are subject to previous exequatur proceedings in Portugal, the first under Brussels I and the second under the New York Convention, to which Portugal is a party. Although both instruments provide for different procedural steps in order to obtain exequatur, in practical terms there will be a great difference in choosing one over the other. The same goes for enforcement, although in addition to the grounds on which the enforcement of a judgment can be challenged, the enforcement of arbitral awards is also subject to the grounds provided for in Article V of the New York Convention and the VAL. Shipbuilding contracts are mainly governed by Decree Law 201/98 of 10 July 1998, and secondarily by the provisions of the Civil Code applicable to works contracts. It is mandatory that they are made in writing and parties are free to agree on its contents (the Norwegian Standard Form Shipbuilding Contract 2000 is widely accepted). Unless otherwise agreed, title remains with the shipbuilder until delivery and payment in full of the agreed price. The shipbuilder is statutorily responsible for repairing any defects reported by the owner within one year of delivery. Portugal has ratified the Hague Rules, which have been given the force of law in Portugal by means of Decree Law 37,748 of 1 February 1950. It is mandatory for the Hague Rules to be applied if the bill of lading was issued in the territory of a contracting state. Although not having signed or ratified the Hague-Visby Rules, some of the provisions (notably those in regard to package and unit calculation) were transposed into internal law by means of Decree Law 352/86 of 21 October 1986 (as amended). 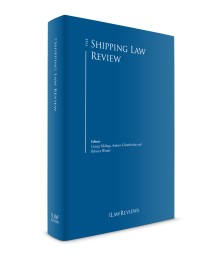 Decree Law 352/86 applies as a subsidiary to the Hague Rules, also covering a number of issues that fall outside the scope of those Rules, as is the case regarding pre-loading and post-discharge responsibilities and liabilities, calculation of package and units limitation. Decree Law 352/86 has also transposed into domestic law the limitation period of two years arising from the Hamburg Rules. As a general principle, any party to a contract of carriage that holds an interest over the cargo and can demonstrate that it has suffered loss or damage arising from the carrier’s actions or omissions is entitled to sue for loss or damages. Taking the above into consideration, the rights to sue under a contract of carriage rest with (1) the shipper and (2) the rightful holder of the bill of lading. In this respect, when in the presence of a straight bill of lading, the right to bring a claim remains with the named consignee; with an order bill of lading, only the latest endorsee is eligible to sue; and with a bill of lading to bearer, then it is up to the rightful holder at a given moment to sue. In addition to the above, rights under a contract of carriage may also be validly transferred to third parties either by way of assignment of contractual position or subrogation in rights (which is typically the case when insurers indemnify cargo interests and then seek reimbursement from the carrier), as long as the relevant rules provided in the Civil Code are met. Portugal is a party to both the 1924 International Convention for the Unification of Certain Rules relating to the Limitation of the Liability of Owners of Seagoing Vessels and the 1957 International Convention relating to the Limitation of the Liability of Owners of Seagoing Vessels and its 1979 Protocol (the 1957 Convention). In addition to the above conventions, it is also important to consider the limitations arising from the Hague Rules and those provided in Decree Law 352/86 of 21 October 1986 (as amended), which end up transposing into domestic law some of the provisions contained in the Hague-Visby Rules, notably those in regard to package and unit calculation, and Decree Law 202/98 of 10 July 1998 (on vessels limitation of liability). loss of life of, or personal injury to, any other person, whether on land or on water, loss of or damage to any other property or infringement of any rights caused by the act, neglect or default of any person on board the vessel for whose act, neglect or default the owner is responsible or any person not on board the vessel for whose act, neglect or default the owner is responsible – provided, however, that with regard to the act, neglect or default of this last class of person, the owner shall only be entitled to limit its liability when the act, neglect or default is one that occurs in the navigation or the management of the vessel or in the loading, carriage or discharge of its cargo or in the embarkation, carriage or disembarkation of its passengers. if the occurrence has given rise to both personal claims and property claims of an aggregate amount of 206.67 units of account for each tonne of the vessel’s tonnage, of which a first portion amounting to 140 units of account for each tonne of the vessel’s tonnage shall be exclusively appropriated to the payment of personal claims and of which a second portion amounting to 66.67 units of account for each tonne of the vessel’s tonnage shall be appropriated to the payment of property claims; provided, however, that in cases where the first portion is insufficient to pay the personal claims in full, the unpaid balance of those claims shall rank rateably with the property claims for payment against the second portion of the fund. The units of account mentioned above re special drawing rights, as defined by the International Monetary Fund. The amounts mentioned in points (a) to (c) above shall be converted into euros on the basis of the value of the euro on the date on which the owner has constituted the limitation fund, made the payment, or given a guarantee that, under the relevant law, is equivalent to that payment. The 1957 Convention was incorporated into domestic law by virtue of Decree Law 49028 of 26 May 1969. Reference must also be made to Article 12 of Decree Law 202/98, which provides that, in addition to the limitation of liability provisions set forth in any international conventions to which Portugal is a party, and where the claims at stake are other than those contained in said conventions, the owner can limit its liability to the vessel and to the freight at risk by abandoning the vessel to its creditors and in order to establish a limitation of liability fund. Portugal has ratified the Brussels Convention, under which any person alleging to have a maritime claim (fomus bonus iuris) is entitled to seek the arrest of a ship. A ‘maritime claim’ is one that arises out of one or more of the situations named under Article 1.1 of the Brussels Convention. Outside the scope of the Brussels Convention, that is to say for the purposes of obtaining security for an unlisted maritime claim (e.g., arrest for a ship sale claim, unpaid insurance premiums, P&I dues) or to seek the arrest of a vessel sailing under the flag of a non-contracting state, a claimant must make use of the provisions of the Civil Procedure Code. In this case, and aside from the jurisdiction issue that needs to be properly assessed, in addition to providing evidence of the likelihood of its right or credit ( fomus bonus iuris), the claimant shall also produce evidence of the potential risk that the debtor or arrestor may remove or conceal the ship (security for the claim) or that the ship may depreciate in such a way that at the time the final judgment is handed down in the main proceedings, the ship is no longer available or has substantially decreased in value (periculum in mora). With the arrest in place, the claimant is required to file the initial claim for the main proceedings of which the injunction will form an integral part within 30 days of the arrest order. During the proceedings, the parties are free to settle by agreement and withdraw the claim. If the main claim should be filed with a foreign court, then the judge dealing with the arrest application must set out the period within which the claimant must commence proceedings on the merits in the appropriate jurisdiction. The defendant is entitled to post a security before the relevant court in the amount of the claim brought by the claimant and seek the release of the vessel pending foreclosure and auction. The arrestor or any interested party can seek the judicial sale of an arrested vessel. In principle, the sale cannot take place during the arrest proceedings, being therefore dependent on the outcome of the main claim and requiring the bringing of new enforcement proceedings. In a nutshell, with the enforcement application lodged, the court will notify the debtor (owner or charterer and other interested parties) to settle the claim or to oppose the sale. If the debtor fails to pay or if no opposition is lodged in time, the court will order the sale. The above notwithstanding, in very limited situations (e.g., when in view of the lack of maintenance, the value of the arrested vessel is depreciating substantially) the Maritime Court has authorised the anticipated sale of vessels within the arrest proceedings. To that extent, the applicant must request in writing authorisation for the anticipated sale of the vessel, ground such request and propose a minimum amount for the sale. In view of the information and evidence produced, the judge will authorise the sale if the arresting party reaches an agreement with respect thereof with the claimant, or the judge is convinced by the facts presented. The judge will determine how the sale will take place (public auction, private negotiation, sealed bids) and will appoint an auctioneer who will be responsible for the relevant proceedings and arrangements (such as organising the tender and visits to the vessel, collecting the bids, getting the proceeds of the sale, liaising with court). The vessel is typically sold ‘as is and where is’ and free of any charges or encumbrances. In addition to reimbursement of the relevant costs and expenses incurred, the auctioneer will be entitled to remuneration to be determined by the court, which typically corresponds to 5 per cent of the sale price. Portugal has ratified SOLAS and its 1978 and 1988 Protocols. In light of Regulation (EC) No. 725/2004 of the European Parliament and of the Council of 31 March 2004 on enhancing ship and port facility security, Portugal has also adopted Part A (mandatory for all ships flying the Portuguese flag) and Part B of the International Ship and Port Facility Security Code (ISPS Code). The COLREGs, MARPOL (73/78), the CLC Convention and other international conventions on pollution and environment, as detailed below, are also in force, with all that implies in terms of safety. The Portuguese maritime administration (DGRM)2 is responsible for supervising, controlling and managing general safety and for implementing the obligations undertaken by Portugal in these respects. In addition, Portugal has ratified the most relevant international conventions and treaties on safety and security adopted by the International Maritime Organization and the International Labour Organization. The European Maritime Safety Agency (EMSA) is headquartered in Lisbon. It provides technical assistance and support to the European Commission and Member States in developing and implementing EU legislation on maritime safety, ship pollution and maritime security. The DGRM is the entity responsible for exercising port state control over all foreign vessels calling in and sailing within Portuguese waters and, consequently, for ensuring that they meet and comply with international safety, security and environmental standards, and that their crews have adequate living and proper working conditions. When deficiencies are uncovered during inspections, the DGRM holds powers to assess fines and detain the vessel until the reported deficiencies are duly rectified. Portugal is a member state of the Paris MOU. All types of merchant vessels can be found under the Portuguese flag: product and chemical carriers, bulk carriers, container vessels, gas tankers, cruise ships, crude oil, and so on. To fly under the Portuguese flag, a merchant vessel must be registered either with the Ships Conventional Registry or the International Shipping Registry of Madeira (MAR). In a nutshell, the Conventional Registry implies registration with both the Harbour Master’s Office and the Commercial Registry, while registration with the MAR implies registration with its Technical Commission and the Commercial Registry. Vessels under construction are eligible for registration. Dual registration and flying in is also admissible in both the Ships Conventional Registry and the MAR. The MAR offers a very competitive tax regime, applicable to both vessels and shipping companies, full access to EU cabotage and full application of the relevant international maritime conventions. In addition, when compared with the Ships Convention Registry, the MAR has fewer requirements in terms of the nationality of crew members and offers a very flexible and competitive mortgage system (e.g., the mortgagor and mortgagee can, by means of a written agreement, freely choose the law that governs the mortgage). In terms of classification, a number of classification societies are approved, such as, to name a few, RINAVE/Bureau Veritas, DNV GL, Lloyd’s Register, the American Bureau of Shipping and Class NK. Under the Collision Convention 1952, a claim for collision can be brought before a Portuguese court in any of the following situations: (1) Portugal is the only country where the defendant has his or her habitual residence or place of business; (2) Portugal is the country where arrest of the defendant’s vessel has been effected, or of any vessel belonging to the defendant which can be lawfully arrested, or where arrest could have been effected and bail or other security has been furnished; or (3) collision occurred within the limits of a Portuguese port or within its inland waters. When there is a collision between a vessel sailing under the Portuguese flag and another vessel sailing under the flag of a non-contracting state to any of the above conventions and regulations, one must resort to the rules set forth in the Code of Civil Procedure, which provide that the claimant must commence an action before the court of the place where (1) the collision occurred (provided it was in Portuguese territorial waters), (2) the defendant is domiciled, (3) the vessel took refuge, or (4) the vessel first called after the collision. Salvage is governed by the 1910 Salvage Convention. Note, however, that although Portugal did not ratify the 1989 Salvage Convention, Decree Law No. 203/98 of 10 July 1998 transcribes most of its provisions into domestic law. Finally, with regard to wrecks, Portugal is not a signatory of the Nairobi WRC 2007. The removal of wrecks must therefore be dealt with pursuant to Decree Law No. 64/2005 of 15 March 2005, which, among other things, lists the entities that hold powers to order the removal of the wreck and the obligations to the owners in respect thereof. Portugal has ratified the 2002 Protocol to the Athens Convention relating to the Carriage of Passengers and their Luggage by Sea, as amended by its 2002 Protocol. The limitation regime set forth therein on passenger and luggage claims is therefore applicable. Also of relevance is Regulation (EC) No. 392/2009 of the European Parliament and of the Council of 23 April 2009 on the liability of carriers of passengers by sea in the event of accidents. Portugal has ratified the STCW Convention, which prescribes the minimum standards relating to training, certification and watchkeeping for seafarers, which countries are obliged to meet or exceed. By means of Decree Law No. 280/2001 of 23 October 2001 (as amended by Decree Law No. 206/2005 of 28 November 2005 and Decree Law No. 226/2007 of 31 May 2007), Portugal has also approved domestic rules governing the profession of seafarer, including those related to training and certification. More recently, with the approval of Decree Law No. 34/2015 of 4 March 2015, Directive 2012/35/EU, of the European Parliament and of the Council of 21 November 2012, was transposed into domestic law, and the Manila Amendments to the STCW Convention were duly incorporated at a national level. On 12 May 2016, Portugal ratified the Maritime Labour Convention 2006 (MLC), having become the 78th member state of the International Labour Organization that has committed to the decent work standards of the MLC. As the fourth pillar of the international maritime legal regime, and being complementary to key conventions of the International Maritime Organization, the MLC establishes and protects decent working and living conditions for seafarers. The MLC entered into force in Portugal on 12 May 2017. From the legislative initiatives in place and strategic goals established by the Portuguese government for the sector, one can expect the Portuguese shipping industry to have a considerable boom in the coming years, namely with respect to liquefied natural gas and specialised high-value vessels. Portugal is eyeing international shipping trade and is committed to expanding its infrastructures, with a focus on efficiency, sustainability and innovation. The strategic plan envisaged and approved by the government for ports and the shipping industry goes hand in hand with the country’s drive for ‘green energy’. From a legal standpoint, there are rumours that the government is preparing a new maritime law, bringing to the national level international regulations and best industry practices. Lastly, in the event that the submission for an extension of its continental shelf is successful, Portugal will inevitably become one of the major players within the Blue Economy, with all that implies for the sector. 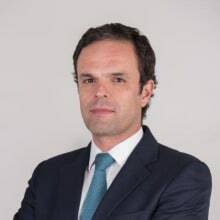 1 João Afonso Fialho is a partner, José Miguel Oliveira is a managing associate and Miguel Soares Branco is a senior associate at Vieira de Almeida (VdA). 2 Direcção Geral de Recursos Naturais, Segurança e Serviços Marítimos.